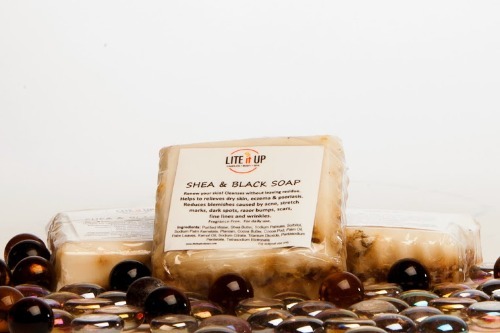 SHEA BUTTER & BLACK SOAP - Lite It Up Corp. This soap has changed my life!!! I bought it to help with my eczema I get every winter. Within two or three uses it was completely gone!!! I was so impressed because I am very pickey with my soap!!! You face will look so clear and 10 years younger too if you use this every day!! Thank you! !